The B&W Energy Services founders and engineering team pioneered the development and advancement of professionally engineered and executed steam blow services. Today that tradition continues with our ongoing commitment to continually improving our processes and equipment by introducing our Dry Silencer technology. Dry Silencers allows B&W Energy Services to safely and effectively vent exhausting steam during a steam blow without the need or requirement for attemperation (quench) water to desuperheat. Dry Silencers are designed to vent up to 900 KPPH of steam while maintaining a 85dB noise rating or less at 50 ft. from the discharging steam. Other benefits include eliminating or greatly reducing hot water discharge associated with traditional silencers, eliminating fall-out of moisture experience when quenching a traditional steam blow, and reduced equipment requirements and associated construction costs. B&W Energy Services engineering team has a diverse background and experience working on complex steam blow projects in multiple Energy Sectors. Our experience is not limited to only the Power Industry. B&W Energy Services recently completed steam blowing of the Shell Pearl GTL Project in Ras Laffan, Qatar. 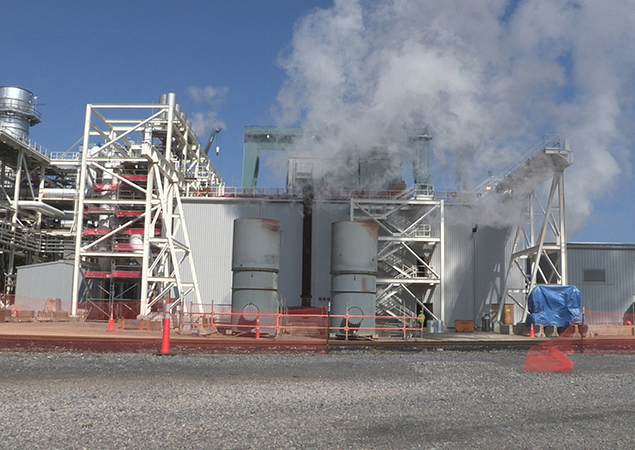 The Pearl steam system is one of the largest systems ever constructed and B&W Energy Services successfully engineered and performed over 300 associated steam blows. Complex projects require a special contractor with the experience and expertise to help our clients achieve success. At B&W Energy Services, we have a solid track record and resume validating our experience and expertise working on some of the world most complex projects. B&W Energy Services can engineer and perform several different types of steam blow methods depending on our clients needs. System piping is modeled and analyzed for proper velocities, pressures, and disturbance factors. Modeling the system leads to verifiable results and compliance with all client and OEM specifications. B&W Energy Services has invested a tremendous amount of time and capital in designing our steam blow equipment to ensure we offer the most effective and safest equipment available to our clients. A strong inventory of equipment is readily available worldwide to serve both small scale and large scale projects.